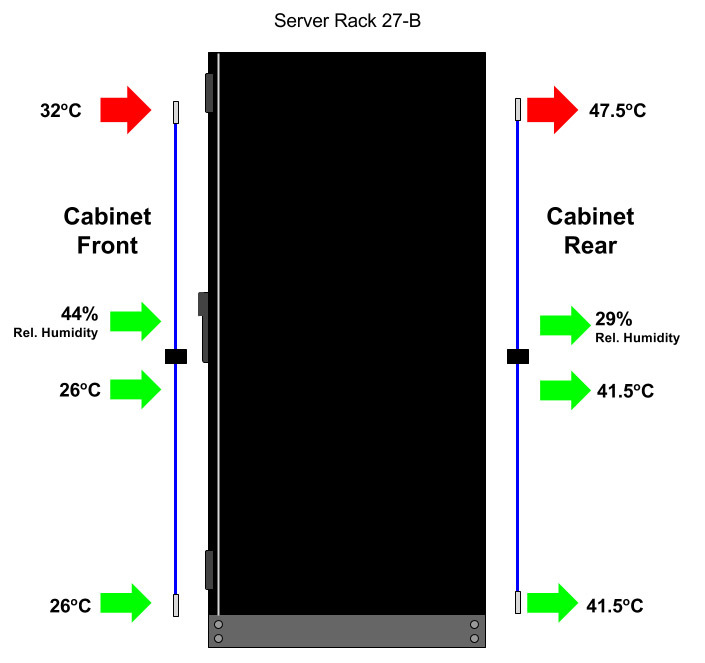 A high density combined temperature and relative humidity mapping sensor for measuring the temperature gradient of a server rack. 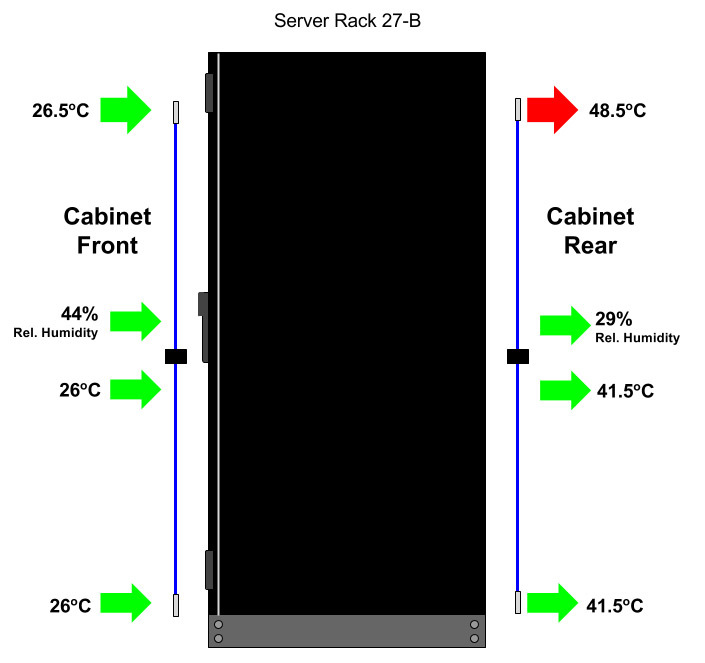 When you place a thermal map sensor inside your server cabinet, you will receive real time feedback of the range of temperature and humidity at the top, middle and bottom of your rack. The AKCP Thermal Map Temperature / Humidity Sensor is an auto-sense multi-temperature / humidity sensor with a measuring range of -55 to +75°C and an accuracy of ± 0.5°C from -10 to +65°C. The AKCP Thermal Map Temperature / Humidity Sensor is a plug 'n play sensor that is automatically detected by your AKCP sensorProbe+ monitoring unit when it is plugged into one of the RJ45 sensor ports. Thermal maps provide real-time high density sensor data of the temperature gradient in your server racks. Place one at the front and a second at the rear of your cabinet to monitor the inlet and exhaust air temperatures at the top, middle and bottom of your cabinet. Get an accurate picture of your racks temperature and hot spots to identify potential problem areas or cooling savings. Thermal Map sensors are available in temperature only, or dual temperature and humidity. The AKCP Thermal Map Sensor is available as temperature only or combined temperature and humidity models.